For sheer excitement, the launch of a model rocket takes a lot of beating. The tension of the countdown, ignition, a blast of flame and smoke and your creation boosts skywards. The spectacle of a detailed scale rocket hurtling skywards then either drifting down on a recovery parachute or a high performance boost glider circling in a thermal current immediately brings to mind thoughts of interplanetary travel and the infinity of space. 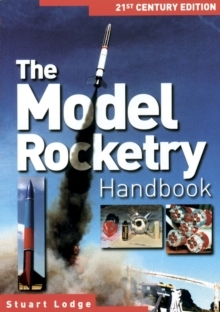 Author Stuart Lodge has experienced all forms of model rocketry and built up a depth of experience of the science and practice of this futuristic hobby. This book describes the physics and chemistry for those who want to explore the hobby in-depth but also enables the newcomer to gain the knowledge to safely enjoy it. Pages: 150 pages, 42 black & white photographs; 32 scale plans and line drawings.